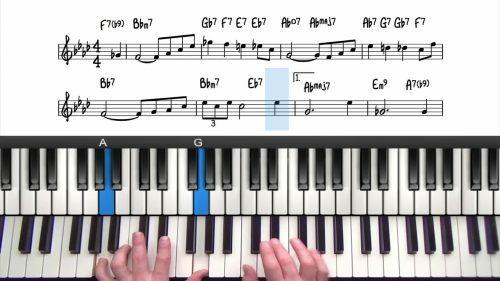 In this lesson we are going to create an arrangement for the ballad ‘When I Fall In Love’. The tune is written in the key of Eb Major and it follows a 32 measure A-B-A-C form. The main motif repeats throughout the tune and so we will be looking at different techniques you can use to add variety and interest to such a repetitive melody line. 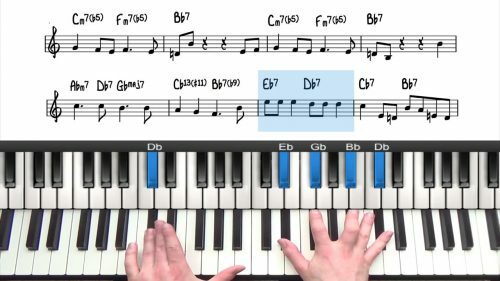 Much of the tune is made up of the 1625 progression in Eb and so we will talk about the significance of this and also explore how we can use this progression to create an improvised introduction. 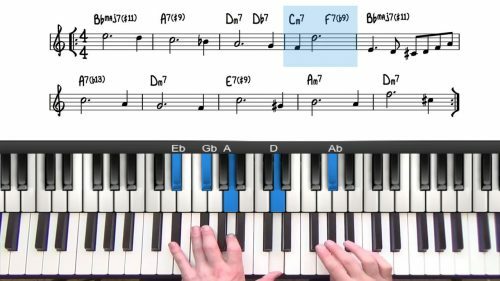 The 1625 progression is found throughout the form of this tune and so in the process of learning the arrangement, you will also be familiarising yourself with the 1625 in Eb Major. Experiment by superimposing motifs from the melody over the top of the 1625. Mix up the phrasing, add notes in, take notes away etc. Experiment. Make sure you are listening to lots of records. Transcribe lines or perhaps just transcribe the rhythm of a line and apply in to the 1625. You will learn a lot in the process.